Hi guys! I’m sorry that I’ve been MIA lately. It’s been crazy busy at work lately and it’s been draining. For those of you that are new here, I’m a full time attorney. My blog is a part time hobby that I do on the weekends. Lately, because of work stress, I found that I was putting blogging to the side in order recharge on the weekends. I felt guilty leaving you hanging but sometimes we have to skip doing some things to stay sane. On to the recipe of the day. I’ve been so good about making my lunches ahead of time to bring to work. This is the third week in a row that I’ve made a handful of lunches on Sunday and that might be a record for me. I have found that they key is to find something quick and easy to make. 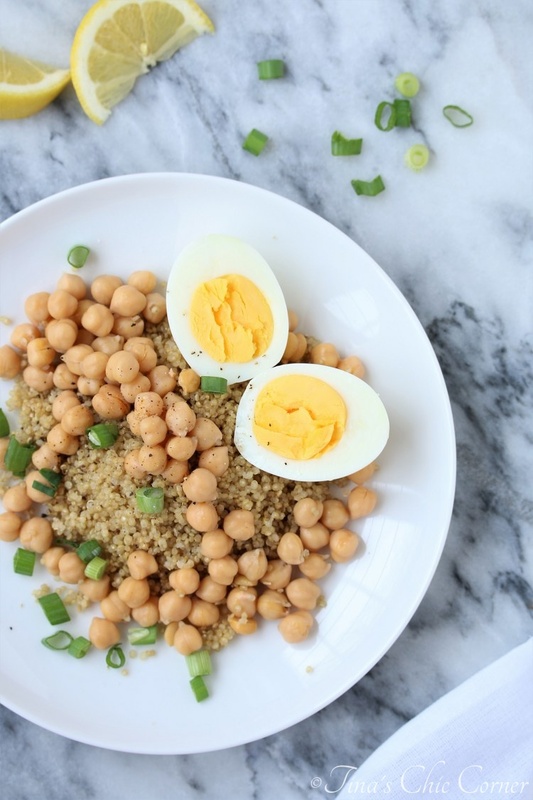 Who wants to spend a lot of time on Sunday fun-day meal prepping? Not me. I made this meal in about 15 minutes. Easy peezy. It’s not fancy, but it’s delicious and packed with protein to keep me full for the afternoon. Plus it holds up really well in the fridge so it still tastes great even after it’s been in the fridge for a few days. Do you prep meals ahead of time? I’d love to know your tricks for staying on track with it. 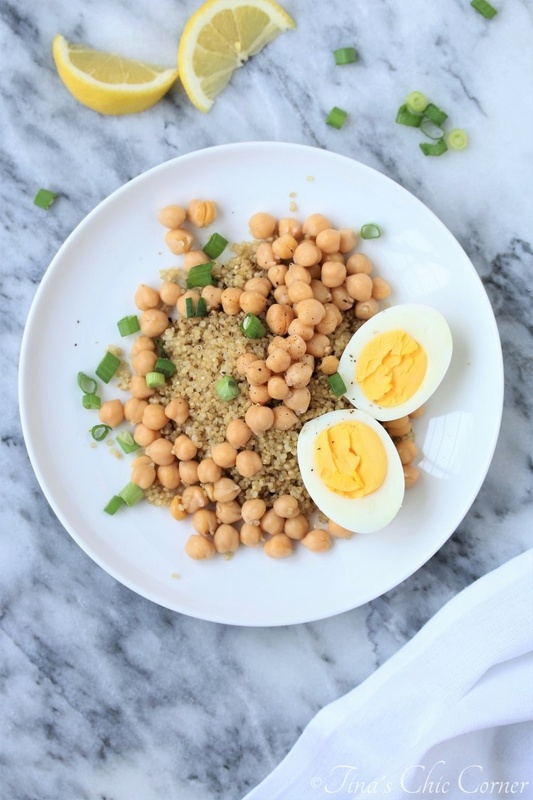 Add the cooked quinoa, chickpeas, hard boiled egg, sliced scallions, lemon juice, salt and pepper into a bowl and mix everything together.